مرحباً، أرغب بالاستعلام عن عقارك رقم بيوت - BI-R-6411. أرجو منك الاتصال بي في أقرب وقت ممكن. Banke International property is pleased to offer you the Brand new 2 Bedroom apartment in Damac Avanti Tower. Apartment is fully equipped with everything you just need your bags to move in. 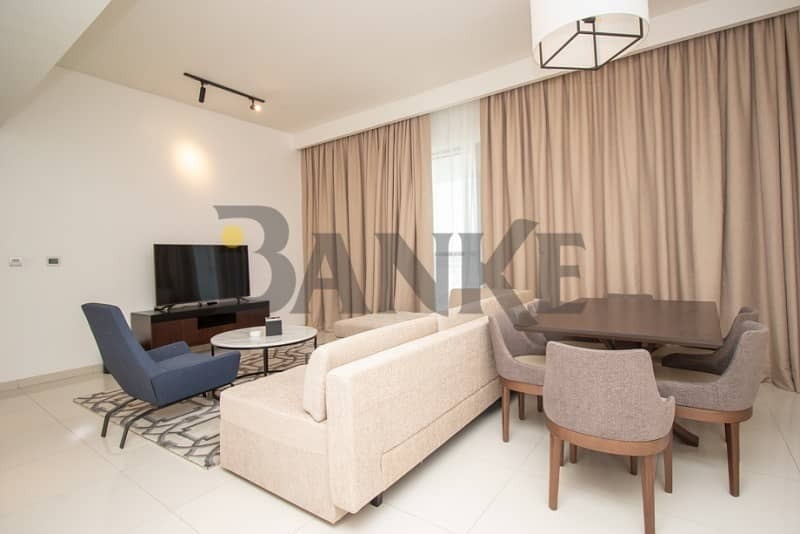 Open kitchen with a large size balcony over looking to stable and Meydan area. Avanti Tower is a 16-storey apartment tower located in Business Bay. The distinctive development offers furnished rooms with separate living and dining areas.